I've always loved Valentine's Day (um, hello it's in the same month as my birthday!) 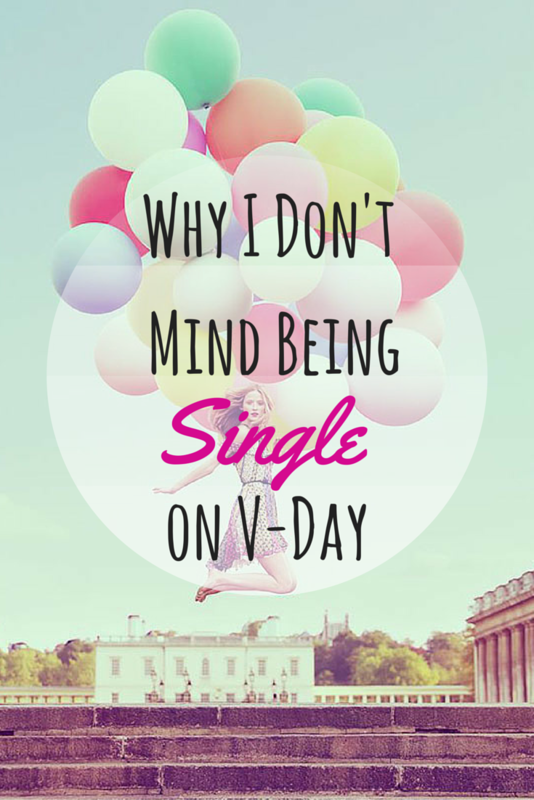 and never really understood the hatred that single people have for this holiday. Sure, it must be nice to be in a relationship this time of year but Valentine's Day is just like all commercial holidays...it's about the material things. If you really love someone then everyday would be Valentine's Day and you wouldn't need one single day of the year to show how much you love each other. But hey that's just my opinion. Moving on, society seems to really push the idea of Valentine's Day being a holiday about people celebrating their relationships. What they forgot is that the holiday celebrates all types of relationships. From the love that you have for your parents, to your grandparents, and your best friends, you're surrounded by love everywhere! Apparently that's not enough because unless you have a bf/gf then you're not considered worthy by society. Another type of relationship that's rarely talked about is the love that you have for yourself. Many of us haven't figured out how to love ourselves because we're too busy chasing people that will do it for us. This just never ends well. This is the reason why I don't feel bad about being single. I slowly learned how to love myself and that type of love was enough for me. Some people go through their whole lives never finding it. That's what you should truly be afraid of. I dare every one of you, single or not, to learn how to love yourselves. You may not always be in a relationship, your parents aren't here forever, and best friends aren't permanent. That's why it's so important to find your sense of self and be able to love yourself. You're all you got. Now, that's something to celebrate. Well said and good for you! Loving yourself if of the utmost importance. If you don't love yourself.. how can you expect anyone else to? Totally agree when you say Valentine's Day is about all relationships. I got my mum and dad slices of cake for Valentine's Day, and if my best friend was in the country, I would've been getting her something too. My boyfriend got me flowers as a surprise, but besides chocolates, we don't do proper gifts on Valentine's Day or take it too seriously. We use it as an excuse to over eat on dessert. I am in total agrreal with this post! Valentine's Day should not be defined as excessively loving your signicant other more than every other day of the year. It should be about love others around you including yourself. You have to love yourself before you love others.